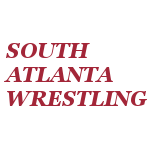 South Atlanta Wrestling: Twitter Poll: Which Version Of Ray Traylor Do You Prefer? Twitter Poll: Which Version Of Ray Traylor Do You Prefer? If you're on Twitter, please Vote and RT on this one. I'm a huge Ray Traylor fan from the first time I saw him as Big Bubba (Jim Cornette's bodyguard), and he was just a tremendous wrestler his whole career really. For those who don't know, he passed in 2004 at only 41 years old. Throughout his career I'd say he always looked older than me (40), but he could flat go in the ring. Which version of Ray Traylor do you prefer?